Sing and Walk: Does hell exist? One of my theology teachers once asked me during an oral exam: “Does God want everyone to be saved? Or does God want some to be saved and some to be damned?” I spontaneously responded: “God wants everyone to be saved.” He then asked: “Is that in the Bible?” I said that I thought it was. “Where?” he asked. And I finally gave in, admitted my ignorance, and asked him “Where?” And he pointed to the text we are reading today, 1 Timothy 2:3: “God our Saviour desires everyone to be saved.” And I agreed, there couldn’t be an answer much clearer than that! So it is not part of God’s plan that anyone be damned. Hell is not part of God’s plan. Hell is a human invention, a consequence of people’s refusal to accept God’s plan of salvation for them. We start creating hells around us when we turn away from God, when we close in on our own petty lives in selfishness and pride. We start preparing for ourselves an everlasting hell when we choose this turning away, this closing in, as our ultimate way of being. And this everlasting hell is pure loneliness, ultimate aloneness. This is not God’s will for us. It is not God’s will for any of us. And, deep down, it is not our will for ourselves. So let us open ourselves to God’s will, now, today, and for always. For God wants nothing less than each man’s and each woman’s happiness, both now and for eternity. 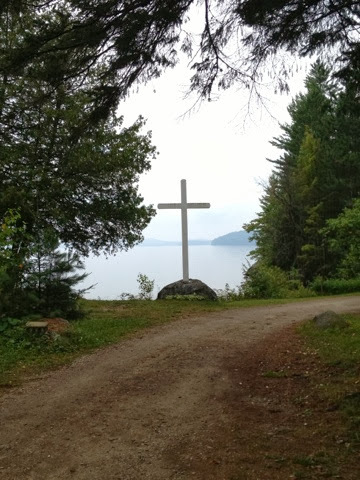 Prêtre du diocèse de Timmins, évêque auxiliaire de Sault-Ste-Marie, évêque d'Alexandria-Cornwall et maintenant archevêque de Gatineau, je continue à me mêler à la musique, la liturgie, l'éducation de la foi, la pastorale des sacrements, l'évangélisation et la justice sociale.